Tell it like it is! 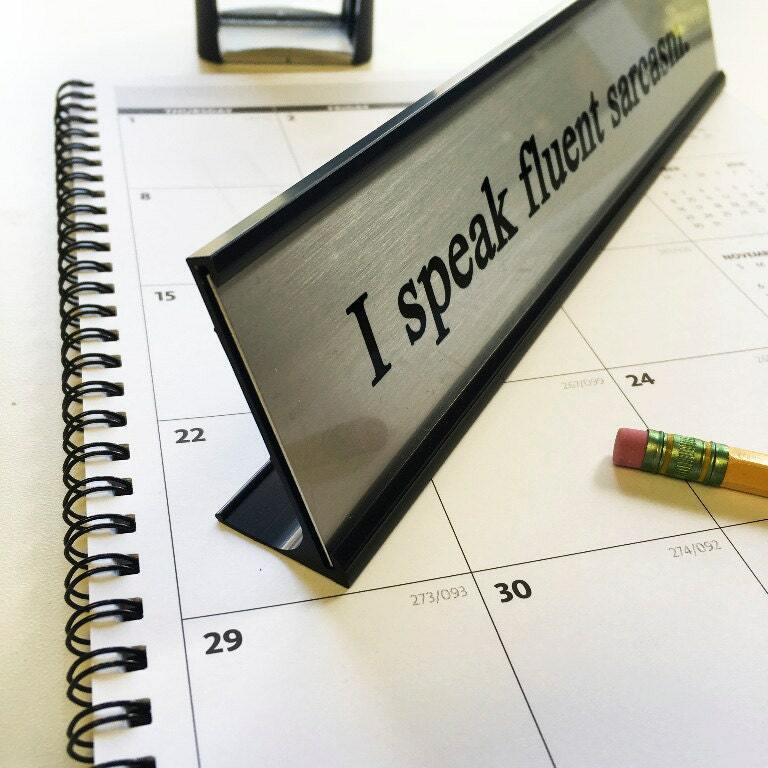 Add some flair to your office, home or school with this clever desk name plate! 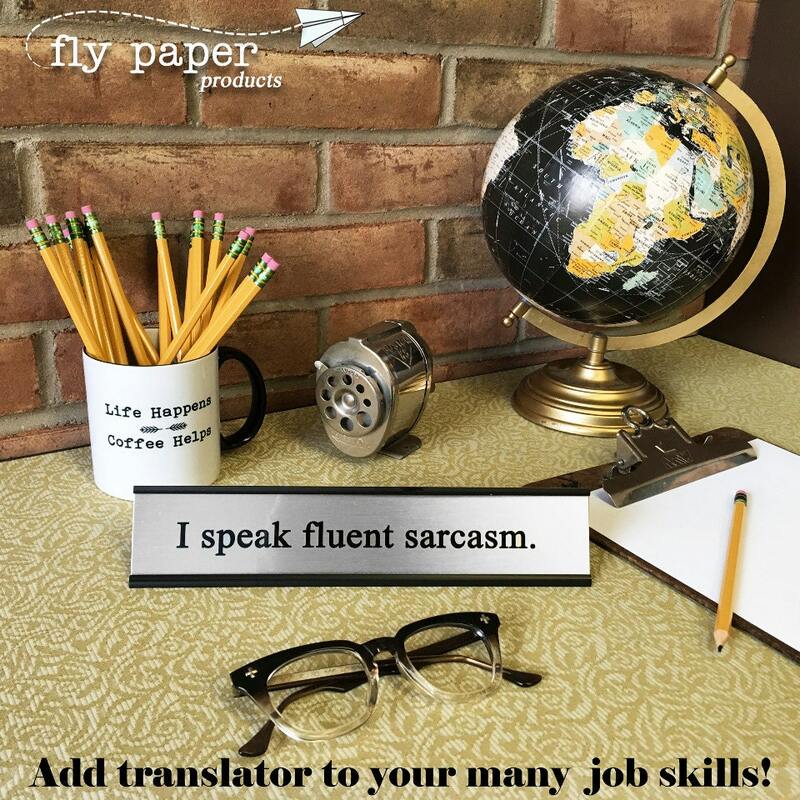 They can add a bit of snark and wisdom to any work environment and can make a great gift for anyone in the workplace. Each name plate is 10" x 2" and is rigid silver metal with a black metal frame. We make all of our products in our Ann Arbor, Michigan studios and all of our supplies are made in the USA as well! Shipping is 1-3 business days. We ship USPS for retail orders and UPS for wholesale orders, unless otherwise specified. We ship USPS primarily because of the low cost and efficiency. If you prefer UPS or FedEx, please contact us for a quote. Just a reminder, when buying several items the shipping charges can add up fast, but many times beyond what the actual shipping charges would be. Don't worry...WE REFUND ALL SHIPPING OVERAGES!